Women are subject to behavioural expectations. If we don't hold our anger, we're viewed as "hysterical" or "out of control", not worthy of what we seek. 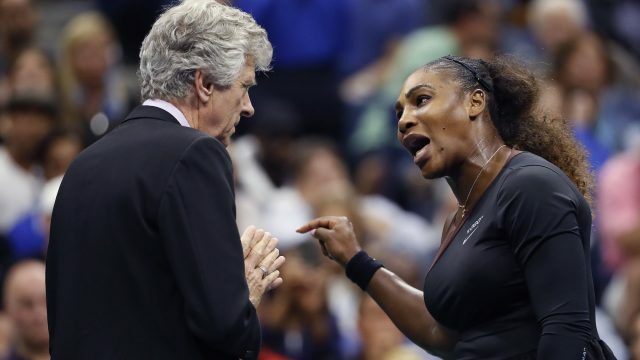 Serena Williams is merely the latest example of it. When I had my daughter, I was told to fear the days when she started dating. However, I don’t own her, and the ‘protective father’ schtick is a poor example to set. Over the weekend, Henry Cavill became the latest notable that missed the point of #MeToo. So yes, we’re here again. A palaeontologist that made crucial discoveries, and a composer of true merit. Sadly, these women were lost to history. No longer. The difference between male and female fans you see during a World Cup broadcast come in two very obvious, very types. While what happened to Eurydice Dixon has shocked the nation, this an everyday reality we women face. So don’t ask us to “be safe”. 10,000+ people have signed this anti-Clem Ford petition – should I too? A recent petition is being circulated to stop Clem Ford from talking at a Lifeline event due to her “kill all men” rhetoric. It wants me to sign. Should I? Jessica Jones has truly entered the zeitgeist, and while she’s an important female figure, men can learn from her too.